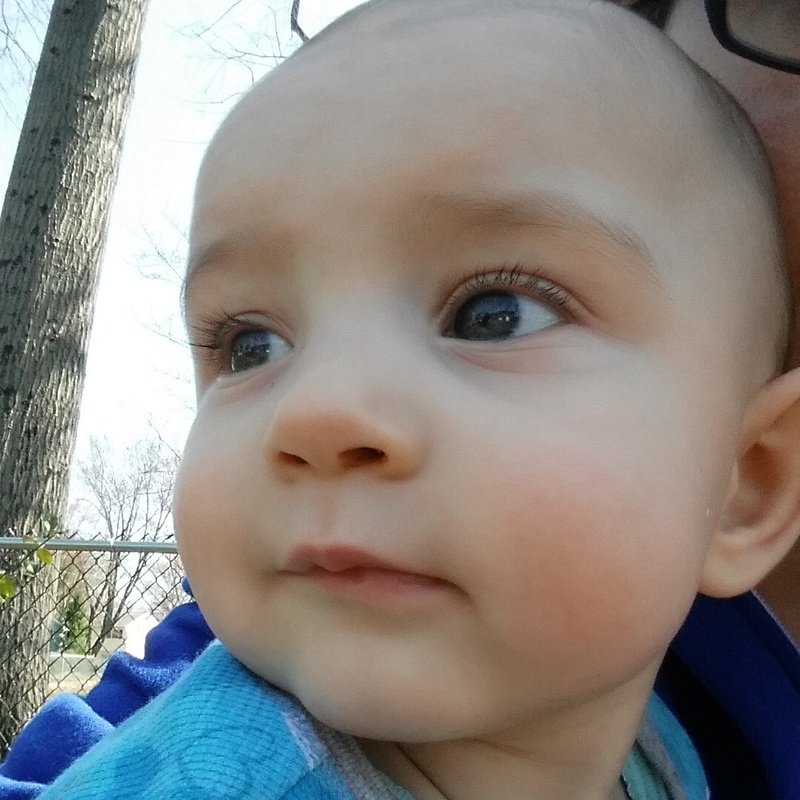 I have serious working mom guilt and feel like I’m not spending quality time with our baby. I usually work from home three days a week, but lately I have to be in the office three days a week, so I’m only home with Genevieve two days. I know, I’m fortunate enough to even be home those days, but it’s a big change. Our weekends are getting super hectic. When you have things to do, people to see, events to attend, etc. you’re not getting that important one-on-one playtime with your baby. She’s just coming along for the adventures and having fun. We’re super lucky that she is so well-behaved at restaurants and is friendly with new people. However, at parties, etc. friends and family want to see her. And there goes the mommy time I so yearn for all week long with my social butterfly. When I get home at night from work, Baby G is ready for dinner, her bath and a bottle. She sometimes gets cranky and just wants to cuddle, which of course I love. But I want to see her laugh every day. I want to cuddle her when she falls asleep for her afternoon nap. It hurts my heart when I go shopping on my lunch break and see other moms out and about with their kids. I get so jealous. But then I realize it’s great that I am getting alone time shopping! This past weekend was particularly busy for our family, so I took a vacation day on Monday just to stay home and be alone with Baby G. It was so nice. She actually slept in later than usual. We played. We sat outside in the yard and watched the dogs run around. I fed her all her meals. I chose what flavor baby food she got to eat and what outfit she wore. I was a true stay at home mom for the day. I think I’ll be using more days just for mommy-daughter days. I know that by working, I am helping to provide a better future for my daughter. I’m lucky that my mom watches her while I’m at work. But I can’t help but feel sad when my mom calls me for something and then tells me to talk to Baby G on the phone, and I hear her little voice babbling away. I know my fellow working moms can relate!